⬅ We’re Going Live in 2017! United Ag Invites Panelist to Speak on "Advancing Together"
Last week, I had the opportunity to participate in United Ag’s annual conference as a panelist to discuss the effort of uniting California agriculture to better address the challenges and misconceptions agriculture faces with legislators in Sacramento, and an increasing regulatory environment on farm management and production. I joined Joel Nelsen of Citrus Mutual, George Radanovich of the California Fresh Fruit Association, Amy Wolfe of AgSafe, Mike Stoker of the Law Office of Mike Stoker and Emily Rooney of Agriculture Council of California. CDFA Secretary Karen Ross and I at the United Ag conference in Napa. Secretary Ross was the keynote speaker during lunch. Each of us facilitated some small-group discussions regarding where farms feel things stand right now after a very difficult and discouraging legislative session in 2016 where the overtime exemption for farm employees was taken away, while farms faced a substantial jump to a $15 minimum wage in the next four years. Needless to say, the conversation was dynamic and people had a lot to say about the political environment California farmers face today. 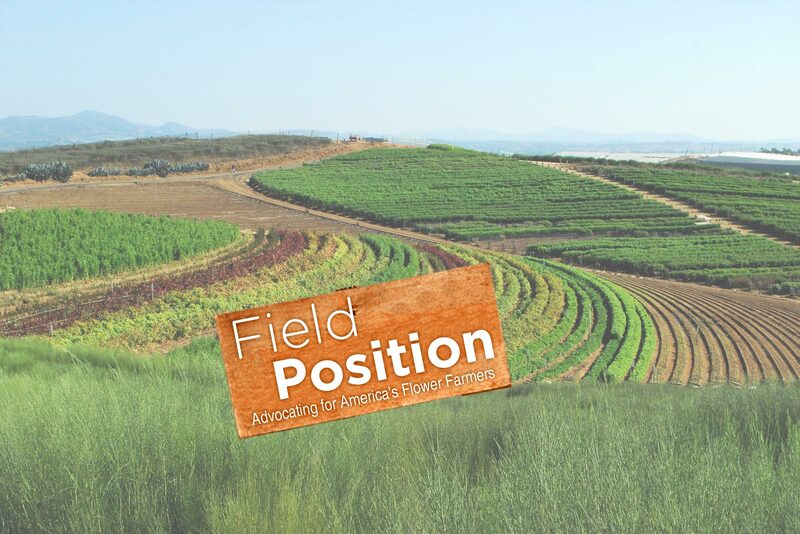 The theme of United Ag’s Conference was “Advancing Together,” and our session was entitled, “A Unified Voice.” You might think that after a century of farming in California, we’d have promotion and advocacy down to a science farmers could count on. However, the reality is that it’s California’s rich diversity in production that is also its Achilles heel in getting organized. We are so big and represent so much value with over 400 crops in production, it’s really tough to get farmers to band together with such diverse needs, production styles and crop types. So, how do you unite such diversity? Agriculture Council of California CEO Emily Rooney and I shared the stage at United Ag’s annual conference in Napa on Thursday. That’s the million dollar question, and it was great to hear so many farmers in the audience discuss their thoughts on the matter. Specifically, I shared how important I found the Ag President’s Council as a unifier. The California Cut Flower Commission has been a part of the Ag President’s Council for almost as long as it has been around. The value of the council is that it feeds off of the diversity of the stakeholders at the table. There’s recognition that there are different opinions and approaches on policy and even positions on those policies, but it becomes a very important table to discuss options and ideas, especially now when the approach that agriculture has been taking isn’t working and we need to better position California agriculture to not be so flat-footed when the Legislature and organized labor band together to attack farmers, spreading false claims and misleading the public on the merits of a debate.